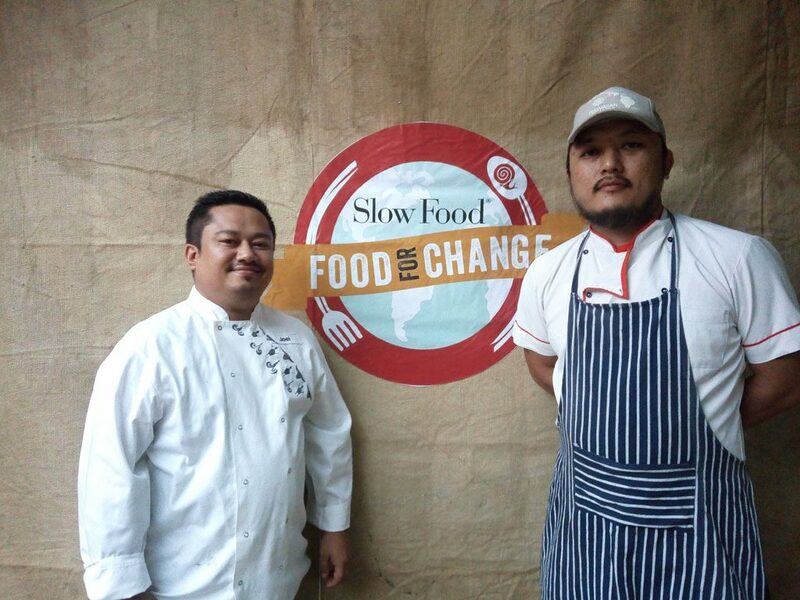 Chef Joel Basumatari (left) and Imna at the ‘Slow Food- Food for Change’ pop up kitchen on October 7. 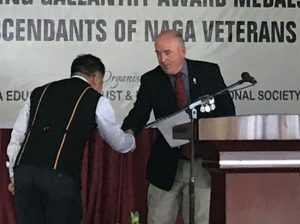 Dimapur, Oct. 7: To promote Naga cuisines at the world arena, Slow Food Community Nagaland (SFCN) has announced to depute members at the upcoming ‘Terre Madre’ scheduled in Japan in 2020. This was announced by SFCN founding member and popular chef from Nagaland Joel Basumatari and Imna of Modern Apron during a pop up kitchen themed as “slow food- food for change” on October 7 in Dimapur where a 14 course meal made entirely from local herbs, spices and ingredients infused with contemporary dishes was served to guests. Sentila Yanger, one of the founding members, explained that the main objective of the pop up kitchen for chefs Joel and Imna was to showcase the food that they will be preparing during the festival of arts in New Delhi later this month. The festival is being organised by the Ministry of DONER and North Eastern Council in collaboration with India International Centre. She informed that the two chefs will be preparing food on two occasions at the festival, the first being contemporary northeast fusion food and second being pure Naga cuisine. “The traditions and the knowhow of the food in our daily diet is lost, so SFCN is trying to revive that by using ingredients that are lost,” said Yanger while citing the example of the way Anishi (dried yam) is made and how almost 90% of Nagas don’t know how to make it. Chef Joel informed that the slow food movement is slowly drawing attention to traditional food habits. Joel has recently attended the ‘Terre Madre’ in Italy the previous month as an indigenous chef alliance member. Joel stated that the programme was organised with objective to infuse local herbs and vegetables to a contemporary dish using traditional ingredients. He further explained that SFCN was more about getting involved in community projects in regard to sustainable local food. “The theme ‘food for change’ is more about rediscovering past food and ingredients and fusing it with what we eat,” Joel maintained. He also informed that SFCN would send some of its members to the next Terre Madre scheduled in Japan in 2020.